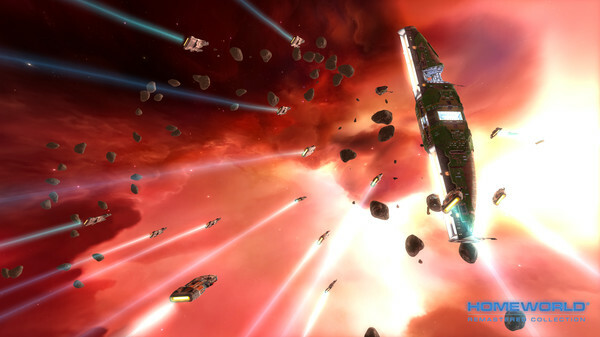 Most notably, the remastered Homeworld throws away the original game's tactics system in favor of the less nuanced one from Homeworld 2. Where before you could order your units to adopt passive, evasive and aggressive stances, you're now restricted to passive, guard and aggressive. This might not sound like much of a change, but there are times where it makes the combat feel significantly different. Formations, for instance, are now essentially useless. In the 1999 version, formations were huge. You could order your units to take an aggressive stance and they'd hold a formation come hell or high-water. In the remaster, they abandon their formation the second you give a movement order, regardless of their current tactic assignment. This is especially detrimental to the fighter combat which, in the past, was basically all about knowing how to use tactics and formations. I can't count the number of times in the classic game that I'd enter a fight outgunned but wind up winning because I knew when to focus my fighter's power into a cohesive unit and when to let them off their leash to dogfight and behave more evasively. In the new version this closer control is almost completely absent, transforming fighter fights into a free-for-all where you'll most commonly just click a button and be left to wait and see if your guys wind up on the winning side. The game's fighting units have been completely re-balanced, rendering many of them far more fragile than they used to be. Unfortunately, this has the effect of ruining several of Homeworld's most versatile ships. In the original game even the most basic strike craft were effective from the early parts of the story campaign right up to its the very end. A squadron of Interceptors, with deft commanding hand, could take down a Heavy Cruiser if given the time. In Remastered, I found them to be almost useless. If I sent them up against capital ships they'd get shredded and even against other strike craft they routinely suffered such tremendous casualties that investing in them felt like a waste. My experience with some of the game's capital ships was very similar. Once you're able to start producing destroyers and cruisers, the frigate class becomes cannon fodder. In the 1999 version, a well-led squadron of frigates could hold their own against even the most powerful ships in the game. They'd be lucky to last even a few minutes in the re-release. I can understand why Gearbox most likely did this. The changes made to the ships, again, seem to have been aimed at bringing them closer in composition to the ones in Homeworld 2. And while I don't necessarily agree with it, I can understand the studio wanting to make things more homogeneous or, especially when you consider that the Remastered Collection includes a brand new multiplayer game combining the various races from Homeworld and Homeworld 2. 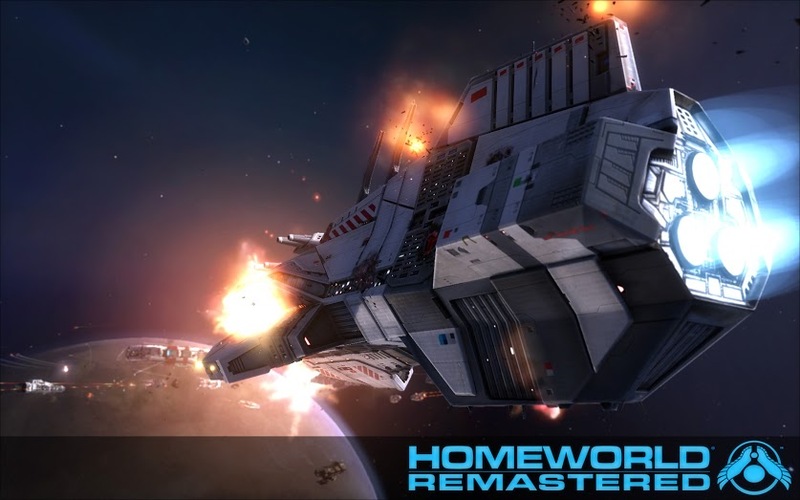 It's also worth acknowledging that the Homeworld 2 engine used in this remaster probably came with technical limitations that would have made a closer remake more difficult. Even so, these changes, as I experienced them, ultimately caused more problems than they solved and definitely lessened my enjoyment to an extent. Which isn't to say that things haven't improve in other areas. The upgraded visuals are gorgeous and the new, cross-game user-interface does a lot to make your various duties as a commander run more smoothly. I likewise loved how it now automatically collects all of the remaining in-map resources for you at the end of each level; a serious time-saver. There are a few levels in the story campaign where environmental hazards don't quite mesh with the ship re-balancing, but outside of those everything works well enough to be fun. At the end of the day, while I still very much prefer the way the original Homeworld did things, I honestly can't complain too much when I consider the late nights I've recently spent lighting my bedroom with ion beams and exploding ships. There wasn't a single evening this past week where I didn't have to force myself to stop playing at some unreasonable hour of the night because I was just having so much fun. Homeworld Remastered may not be a perfect recreation of its source material, but it's still pretty danged fantastic. 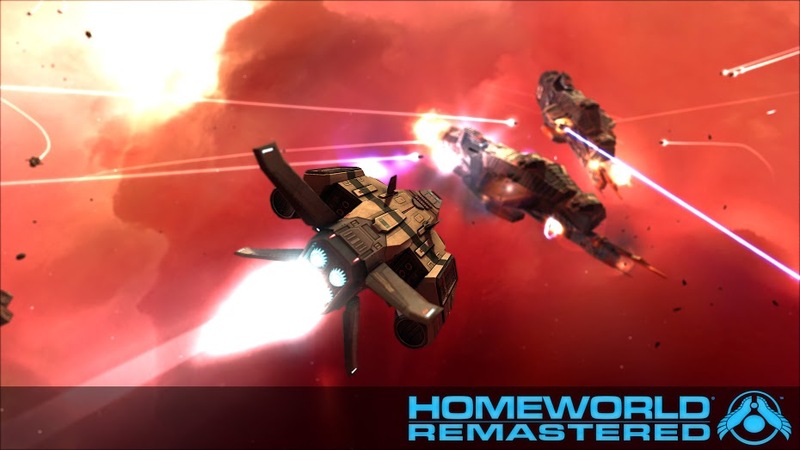 Come back next week for my review of Homeworld 2 Remastered, followed a week later by Homeworld: Cataclysm. In the mean time, feel free to PM me any comments or suggestions you might have for Good Old Reviews.